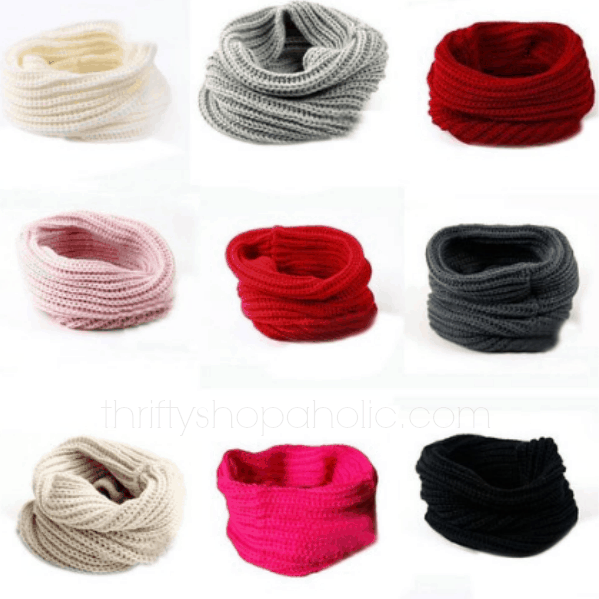 Wool Knit Infinity Scarves ONLY $3.17 + FREE Shipping (LOTS of Colors)! You are here: Home / Great Deals / Amazon Deals / Wool Knit Infinity Scarves ONLY $3.17 + FREE Shipping (LOTS of Colors)! Hurry! Right now, you can grab one of these cute Wool Knit Infinity Scarves for ONLY $3.17 + FREE Shipping (LOTS of Colors)!